Game Theory & Retirement Choices - Should You Get Yours, Before Everyone Else Tries To Get Theirs? Game theory is a hot topic in many fields right now and for good reason – it can uncover better ways of making decisions, that are often otherwise missed. A particularly good example is the uncommon insights that game theory can deliver for us when it comes to making better retirement decisions. For our decision-making "game", let's say there is a $1 million pool of money to be split between you and nine other people. If you wait until the end of ten years to cash out – you and everyone else are told that you'll be equally entitled to $250,000 each. Now, the alternative choice for each person is to start right now and take out $15,000 at the beginning of each year over a ten year period, meaning that over ten years you're allowed to take out $150,000. However, the price of getting your smaller amount of money upfront is that you are not allowed to participate in the big money on the back end. So on the surface there appears to be a $100,000 advantage to waiting ten years. Easy decision then, right? Well, not exactly – as there are some complications to consider. The first problem is that if all ten people choose to wait the ten years to get the most money, then it would take $2.5 million to pay each of them their $250,000 in full. However, there is only $1 million available. Since each person has an equal claim, the ten people would evenly split the $1 million. Because there is not enough to go around – and this is known in advance – then all that waiting ten years does is mean that the most you can get is $100,000 each. So you would have been $50,000 better off taking smaller payments while there is still the full amount of money available to pay you. There is another complication as well, and this what happens if some people take the smaller payments early, and other people wait for the promised bigger payment on the back end. If five people choose to take $15,000 per year, and the other five people wait for the promised $250,000 on the back end, then the first five people take out a total of $75,000 per year, which means $750,000 is removed from the pool over ten years. Only $250,000 remains for the other five to split, which means they receive $50,000 each. So it isn't just that the money was never there to pay you in full on the back end, but when other people choose to collect smaller payments early, and you don't – then there is less money that is left for you when you eventually do collect. Indeed, as shown above, for each person who chooses to collect their money early, there is a direct reduction in the money available on the back end for everyone else. And if seven or more people choose early collection, then they entirely deplete the $1 million pool and leave the people on the back end with nothing at all. So, if that is the game – what is your decision? Do you take the smaller payments early, or do you wait for the bigger scheduled payment on the back end? And if there are only so many dollars to go around, and other people taking early payments comes directly out of what is later available for you – does that have an effect on your choice? Once we change a few labels and the numbers of people and dollars involved, our round number "game" does have quite a bit of applicability to the issues many people face when it comes to making retirement decisions. As a starting point – the most widely disseminated advice is currently to wait to collect retirement benefits. 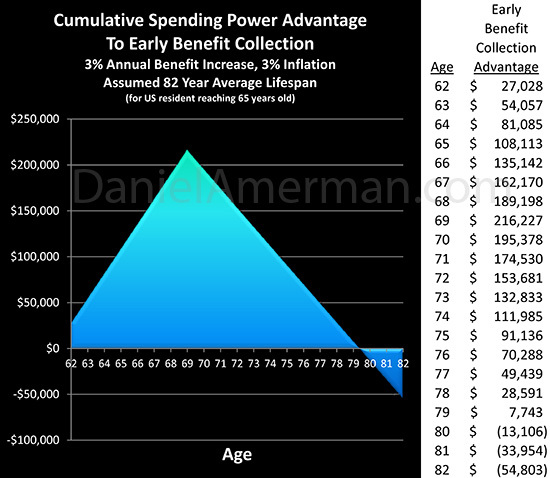 Indeed, there is supposed to be a six figure advantage for many people to defer collecting Social Security benefits until age 70, over starting at first eligibility at age 62. There are some problems with that approach, however, as analyzed here, one of the really big ones is that the supposed advantage is based on benefit payments increasing with inflation, but at the same time the value of those future payments is not discounted for inflation. This creates a gross distortion in results, where the farther out in time we go, the more valuable a payment is shown as being. Once we correct this fundamental error by taking the simple step of adjusting for inflation, then as shown above, most of the supposed advantage to waiting evaporates. 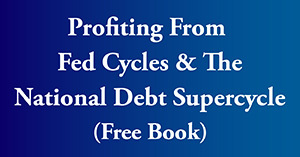 However, most people who aren't financial professionals don't think in those terms, they think of a dollar being a dollar, so the widely disseminated numbers look authoritative and convincing – and therefore millions of people genuinely believe that they will be $100,000+ better off if they wait. So in the real-life game of retirement choices, many opt to wait for the much bigger payoff – and they are highly encouraged to do so. Now one element of our game example that may have seemed a bit on the unbelievable side, is the idea that ten people would wait for $250,000 each from a pool of money that is only $1 million. If it is known in advance that the money isn't there to pay everyone – then who in the real world would actually make a decision to wait to get their money? For an answer - just look around. There have been numerous studies showing that if we take a normal rate of economic growth and project it into the future, look at current tax rates, and compare these future expected tax revenues to scheduled government retirement payments – then we have a gross shortfall. Indeed, as reviewed here, these unfunded retirement payments are likely to be at least four to five times greater than the current official national debt. So the money isn't there. And studies showing that the money isn't there have received enough attention that most people are at least somewhat aware of the issue. Which is why so many people in their 50s or younger are skeptical about the amount of Social Security they will actually receive. But how is this overriding problem taken into account with most retirement decision aids? It is generally completely ignored. Instead, if the government schedules show that payments will be made, then for decision-making purposes those are treated as being certainties, regardless of the date promised – or of the expected financial ability of the government to pay at that time. 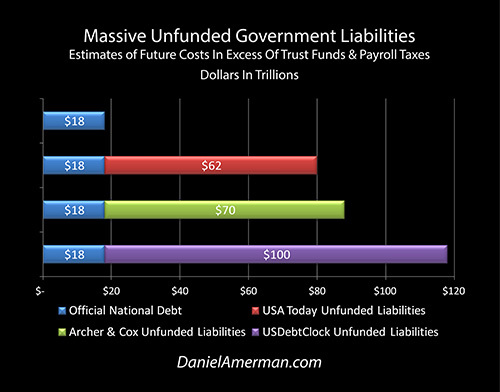 This much we know - there is a limited amount in the Social Security Trust Funds. And once that is gone, there is a very good chance that the rules will change. The rules may change a little, or they may change a lot - but there is quite a good chance that Social Security benefits will be reduced at that time. Now the US government does have an estimate for when the Trust Funds will run out, and that current estimate is the year 2034. However, it is essential to keep in mind that the government doesn't actually know this for a fact, but rather it is basing that estimate on certain key assumptions – which include what future economic growth will be, what payroll tax collections will be, and what the future earnings in the Trust Funds will be. There is another absolutely crucial assumption as well, which is the average age at which people start collecting benefits. Under current law, the government doesn't choose when someone starts collecting benefits, but rather there is a right to collect benefits starting at age 62. 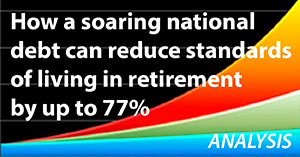 Now, the government very much hopes that people will choose to retire later instead of sooner. Because the fewer the people who retire this year and the next year, then the less the money that has to be paid out, and the longer the Trust Funds last. This then delays the unpleasantness when it comes to cutting benefits or raising taxes. Also of major importance for when the Trust Funds are depleted is that early retirements reduce payroll taxes, because non-working retirees don't pay payroll taxes. The Trust Funds are drawn down to the extent necessary to cover the gap between what comes in and what goes out. Early retirements mean lower payroll taxes, so less money comes in. Early retirement also means more benefit payments, so more money goes out. 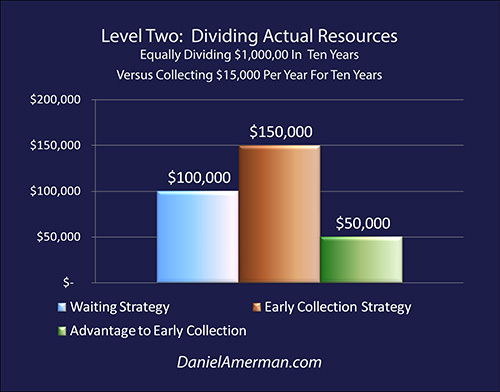 So the more people who choose to collect early – the greater the gap between what comes in and what goes out, and the faster the Trust Funds are depleted. And the faster the Trust Funds are depleted, then under current law, the sooner that benefits are likely to be reduced. The crucial point here is that the retirement benefit decisions we all make are not in fact independent of each other. If sufficient people choose to collect early, then their choices allow them to consume all of the limited resources available. Which means that none of those limited resources may be available to those who chose to wait for the bigger payments that they were told would be theirs if they were patient and waited. Oh, they will still be splitting the then current payroll taxes along with all the other beneficiaries. But they won't participate in the benefits paid for by the Social Security Trust Funds because the money was already taken – by someone else. But nonetheless, when the Trust Funds run out, then either taxes jump up, or the deficit soars, or benefits get cut, or all three together. And the more people who understand this, then the sooner the Trust Funds run out for everyone who doesn't understand. The heart of game theory is a zero sum game, where each player's choices impact the outcomes of the other players, and it also often includes differing amounts of information that are available to the different players. Before writing this analysis, I'd never seen Social Security or other retirement choices analyzed from a genuine game theory viewpoint. Yet, it is in fact a classic case of game theory, particularly if we focus on the Social Security Trust Funds. There is a limited amount available which will be split by all – so it is "zero sum". 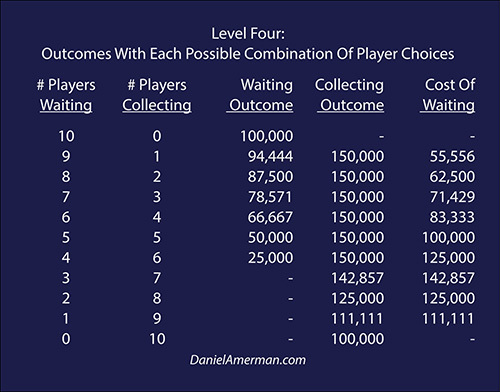 By changing their choices, each player can affect the amount of money available for the other players, which is the second key characteristic. And there are enormous differences in information available. A large portion of the population never reads newspapers or financial websites. Their retirement decisions may be entirely based on their personal circumstances, or on conversations with family members or coworkers who don't know any more than they do. So, from a game theory perspective, these millions of people can be viewed as almost entirely naive decision makers. They don't have the tools for making optimal decisions, and they aren't even aware the game exists. On the other hand, there are millions of other people who are seeking out information, in the attempt to make the best decisions that they can. And what they usually find are retirement decision models which do not take into account either a) inflation; b) unfunded liabilities; c) limited balances in the trust funds; or d) other players' choices impacting what is available for them. So they are making decisions for the game, using a decision framework which precludes the existence of the game. 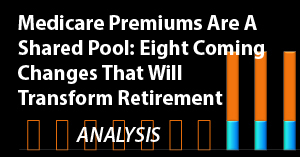 Which leads in most cases to their deferring the collection of retirement benefits for as long as possible. Now for an informed player who is aware of the game, this is actually a better situation than playing against a naive player. 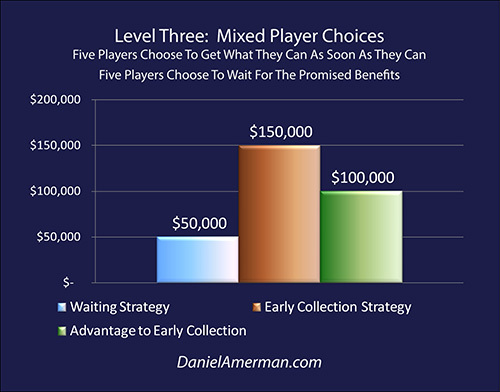 Because a completely naive player will make almost random choices, while a player using a flawed decision model will systematically choose to delay collecting resources for as long as possible, thereby maximizing the time period during which the informed player is able to collect 100% of the available resources (relative to the other player). 1) We are told we will receive a higher payoff if we just wait until later to collect. 2) Yet we already know the day will come when the money simply isn't there for all of us who have waited to collect. 3) The more people who choose to take what they can get today, then the less that is available for those who are waiting for higher payoffs, and the sooner the benefits get cut. 4) There are widely differing amounts of information available, and most have no idea that the game exists at all. 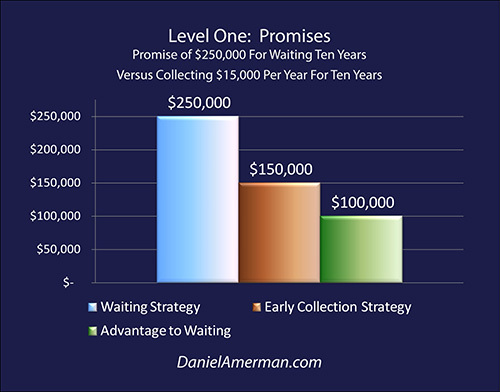 Much has been written about a $150,000+ advantage to waiting until age 70 before collecting Social Security. 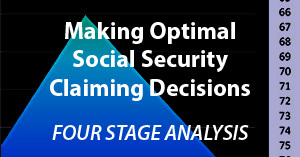 However, as explored in the analysis linked here, once we "raise our game" a bit, and use a more sophisticated type of analysis than some of the simplistic Social Security decision aids in wide circulation ─ most or all of that advantage can vanish.